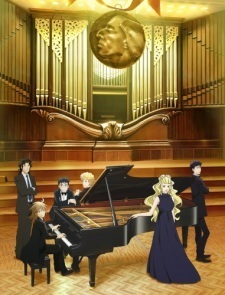 The official website for the previously announced second season of Piano no Mori TV anime has announced a change in staff members and revealed the ending theme song information. Rie Murakawa will be performing the ending theme song titled "Hajimari no Basho." Produced by Gaina, the anime will air on Sundays at 0:10 a.m. via NHK G starting January 28, 2019. Interesting they got a new director for this. Piano no Mori was among one of my favorite shows from Spring this year so hopefully they can capture the magic again. It's not Abe Miyuki (美幸), but Abe Mika (美佳), a screenwriter (Piano no Mori, Onihei). Second season? I haven't watched the first. I am curious about this anime only because several months ago I watched the movie. OST releasing on March 20. Including OP (seems like it's same with first season), TV size EDs for first season and second season will be included.